When you envision your wedding, some of the things that come to mind are your dress, your colors and the flowers. The wedding flowers set the scene for a romantic celebration of your relationship. From your personal bouquet to the centerpieces for the reception tables, flowers play a big role in your wedding--which means you want that absolute best quality and design. 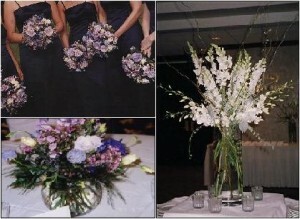 James Flowers has the experience and training to create the wedding day floral look you have been dreaming of. 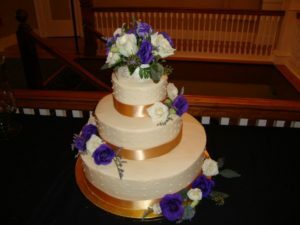 Serving Syracuse, New York and the surrounding areas for more than 30 years, James Flowers is a full-service florist who strives for professionalism and creates customized designs for weddings and events. They look at your individual style, your budget and work with you to create your wedding day vision. Get your dream wedding bouquet custom designed for you, as well as matching bouquets for your bridesmaids and boutonnieres for the groomsmen. Your style doesn't just end with your bouquet. Have your floral theme extend throughout your ceremony arrangements, arches and entryway florals, and even your cake flowres. 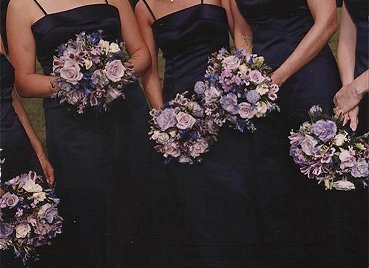 They will create every floral design you need to your specifications. Need decor to put your floral decorations on? They have wedding rentals available that include candelabras, columns, arches, and more. Get your wedding flowers designed that way you imagined. With James Flowers, your floral wedding dreams come true. Whether you are planning your dream wedding or special event, flowers are important. Flowers create the mood and represent you. They come in so many colors and can be designed to suit your style. Modern, contemporary, classic, traditional or out-of-the-box, flowers can be designed to suit your style. If you're in the Syracuse, New York area, James Flowers can definitely create a design that shows off you! James Flowers does it all. If you are wanting something designed for your wedding, special event or just wanting to send flowers, they will make sure it represents you and your style. With over 22 years of design, they are here to serve you. Their knowledgeable staff is always ready to help you in anything you need. From the beginning, they want to understand you. Always wanting to go above and beyond to make sure you get exactly what you want. Whatever the occasion, their talented designers are there to create it. Are you planning a wedding? James Flowers wants to design everything. Wedding bouquets, reception centerpieces, boutonnieres, corsages and wedding ceremony flowers all need to match perfectly. They need to send off the same tone and create the same theme. You want your wedding to feel cohesive and all work together to create the theme of your wedding. Everything will match and look simply amazing when you have them design your wedding. If you are wanting a gorgeous calla lily wedding bouquet or a bright & colorful bouquet, they will create it. Everything from your wedding location to your boutonnieres, it will all be just how you dreamed. Planning an event and finding the right centerpieces for your table has never been so easy, especially with James Flowers. Do you not have a clue on where to begin? Well, they will be right there to help create the right floral decor for your special event. Simple to elaborate, they do it all and will always go above and beyond to please you. Don't forget, they will also send flowers for any occasion and to anyone. They want to make the arrangement special as well. Featuring the flowers that person likes, colors and style, they'll absolutely love their flowers. So, when finding the right florist for you in this area, choose James Flowers. You'll receive a skillful eye and exquisite customer service each and every time you use them. Beautifully designed flowers are waiting for you at James Flowers.